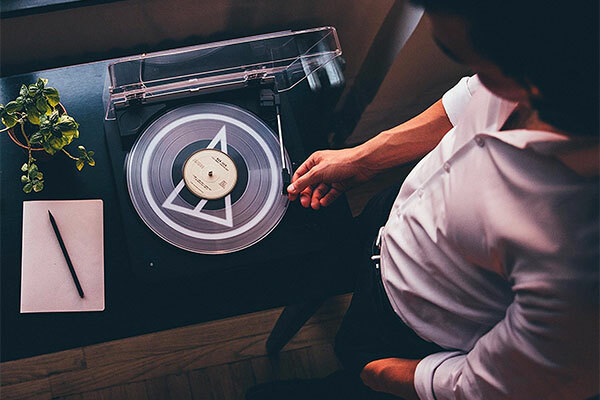 Cut the cord, keep the vinyl. 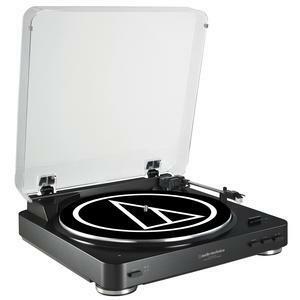 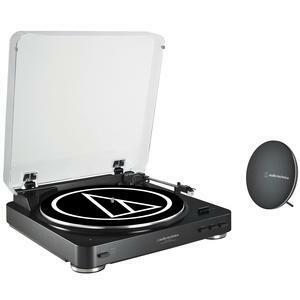 The Audio-Technica Bluetooth Automatic Belt-Drive Turntable & Speaker combines the AT-LP60BK-BT with a powerful wireless speaker to give you great-sounding audio from your vinyl with no additional audio equipment required. 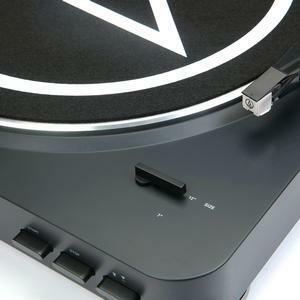 The AT-LP60BK-BT plays both 33-1/3 and 45 RPM records and includes a Dual Magnet cartridge with replaceable stylus that is integrated into the tonearm for assured performance and ease of setup. 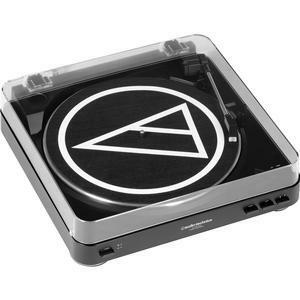 The turntable comes with a 45 RPM adapter, a dual RCA output cable (for wired connection) and a removable hinged dust cover. 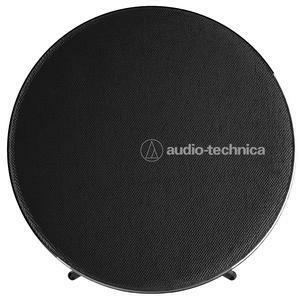 The portable wireless speaker measures 7 inches in diameter and is equipped with two 1.75" full-range drivers and a passive radiator to deliver clear, powerful audio with enhanced bass. 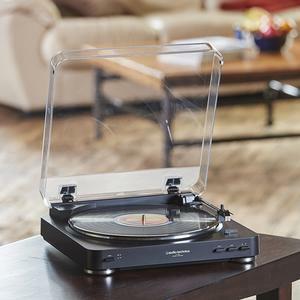 Power, play/pause, volume and hands-free calling buttons are located on the top of the speaker for easy access, with the built-in mic (for making calls via a paired smartphone) conveniently located on the front of the speaker next to the power LED. 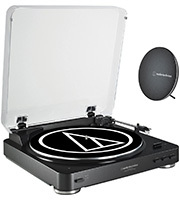 The speaker also comes with a 3.5 mm (1/8") to 3.5 mm (1/8") auxiliary audio cable and a speaker stand, so you can set the turntable up in one room and pair it with the speaker anywhere within the 30-foot operating range, and then sit back and enjoy your records!